Ever quibbled with designers who want to set a block of text at an angle ‘to make it more interesting’? (Because the words themselves are just black squiggly things with no inherent interest of their own?) We generally argue that if things looked better at an angle, the National Gallery would hang all their paintings askew. But they don’t, they hang them straight, because that’s the way our heads are put on our bodies. So this made us smile. 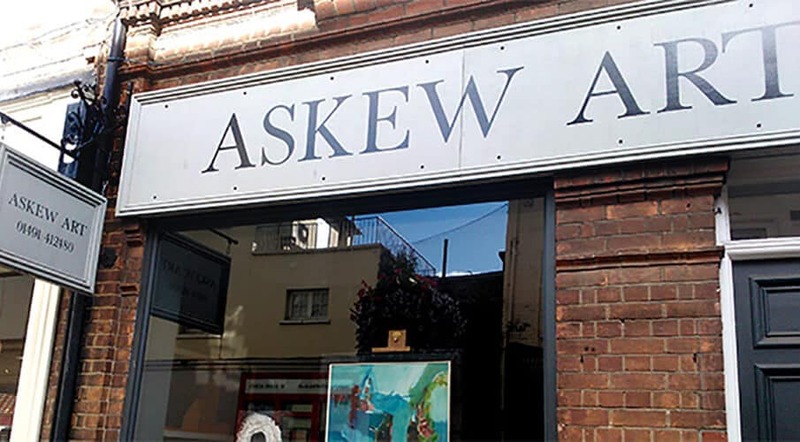 Yes, we know, it’s named after someone called Askew with the emphasis on the ‘ask’, but it’s still funny. It would be even funnier if he’d put the picture in the window at an angle. Ah, it was a joke you see.